Deputy Nazir Ahmad (Also known Molvi Nazir Ahmad) is an Urdu writer, reformer, and scholar. He wrote many books and novels. He got fame from Mirat Ul Uroos and Tauba Tun Nasooh books. Deputy Nazir Ahmad was born on 6 September 1836 in Dist. Bangor, UP. He belonged to Shah Abdul Ghafoor Azam Puri family. His father name was Molvi Saadat Ali. Deputy Nazir had married with the grand-daughter of Molvi Abdul Khaliq. He had one son and two daughters. 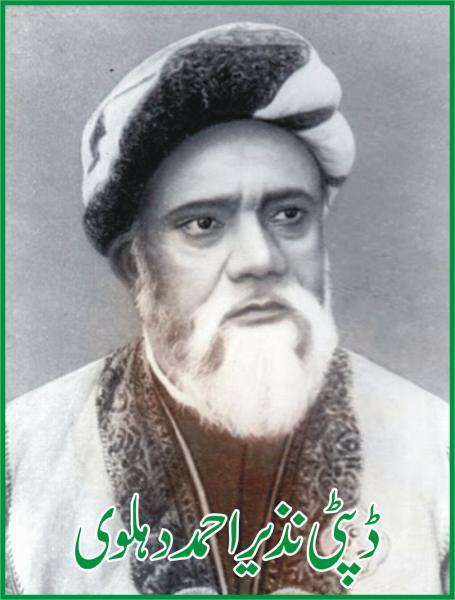 Molvi Nazir passed away on 3rd May 1913. Deputy Nazir Ahmad got his early education from his father. In the age of 14, he admitted in Madras Aurangabad of Dehli. At this place, his teacher was Molvi Abdul Khaliq. At this time, Muslim condition is not okay. Students begged their food from households. Molvi Nazir got his education in this scenario. After some, he entered in Dehli College and studied Arabic, Philosophy, and Mathematics. Deputy Nazir Ahmad started his career as a Teacher. During his employment, he translated Indian Penal Code in Urdu. This translation made him famous and played a vital role in his progress. After getting the promotion, he became the Deputy collector. Nizaam Dukan transferred his Haiderbaad state. After retirement, Molvi Nazir devoted his life to literature and writing. He spent his remaining life in Dehli. On his service, Indian Government awarded him with the title of ‘Shams ul Ulama’ in 1897. In 1902, University of Edinburgh gave him an honorary degree of LLD. Punjab University also awarded DOL degree in 1910. He considered the first novel writer of Urdu language. Deputy Nazir believed the feminist writer of Urdu language. He was the great advocate of women education. His novels revolve about the women issue. At last, I hope you liked this biography. You may also want to check Shaukat Thanvi. You can subscribe our website for new writers profiles.